Who will the next Batman? MATT REEVES’ THE BATMAN: WHO’S THE NEXT DARK KNIGHT? Fans are interested in the eventual fate of The Batman, realizing that Ben Affleck isn’t returning. Director Matt Reeves is right now searching for another actor to play the Caped Crusader. And now the heat is on with the film simply getting a release date. New details from Variety journalist Justin Kroll indicate that Reeves and the studio execs at Warner Bros. are being very picky in their choice for the following Batman actor, and that production could start sooner than we thought. ARMIE HAMMER OR JON HAMM? While the criteria for the following actor may be unmistakable, there’s no lack of film stars who might want a turn the amazing job of The Dark Knight. While fans have been clamouring for actors like Armie Hammer or Jon Hamm to wear the cape and cowl. We wouldn’t be astounded if Warner Bros. Reeves make a stunning choice. Fans were staggered yesterday when it was revealed Affleck would not come back to play the character. However, the actor lent his help to Reeves’ new take. 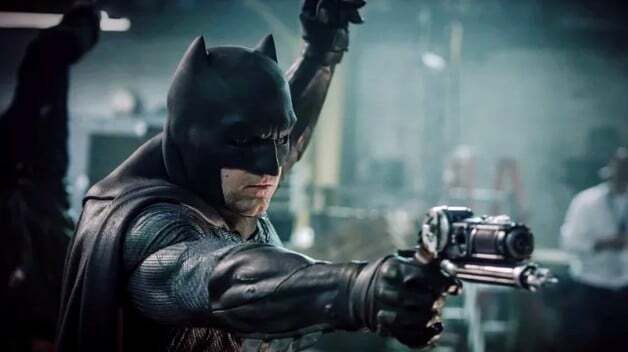 “Excited for The Batman in Summer 2021 and to see Matt Reeves’ vision come to life,” Affleck wrote on Twitter, putting his stamp of approval on the character’s future. Reeves himself has at long last offered clues on his upcoming project for the upcoming venture to the Hollywood Reporter, prodding that it will be not like movies at present underway for Warner Bros.’ hero universe. “Right now, I’m involved in The Batman,” said Reeves. “What it will be called ultimately, I don’t know. Aquaman is going to be very different from the Todd Phillips Joker movie. And that’s going to be different from Shazam and Harley Quinn. Warners believes they don’t have to try to develop a giant slate that has to have all the plans for how it’s going to connect. What they need to try and do is make good movies with these characters. “It’s very much a point of view-driven, noir Batman tale,” Reeves said of his take on the Caped Crusader. “It’s told very squarely on his shoulders. I hope it’s going to be a story that will be thrilling but also emotional. It’s more Batman in his detective mode than we’ve seen in the films. The comics have a history of that. He’s supposed to be the world’s greatest detective, and that’s not necessarily been a part of what the movies have been. I’d love this to be one where when we go on that journey of tracking down the criminals and trying to solve a crime, it’s going to allow his character to have an arc so that he can go through a transformation.”. The Batman is booked to debut in theaters on June 25, 2021.